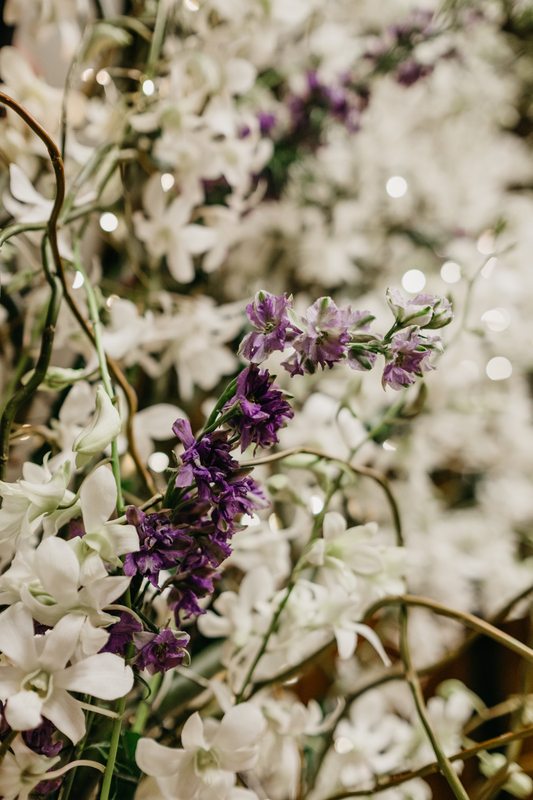 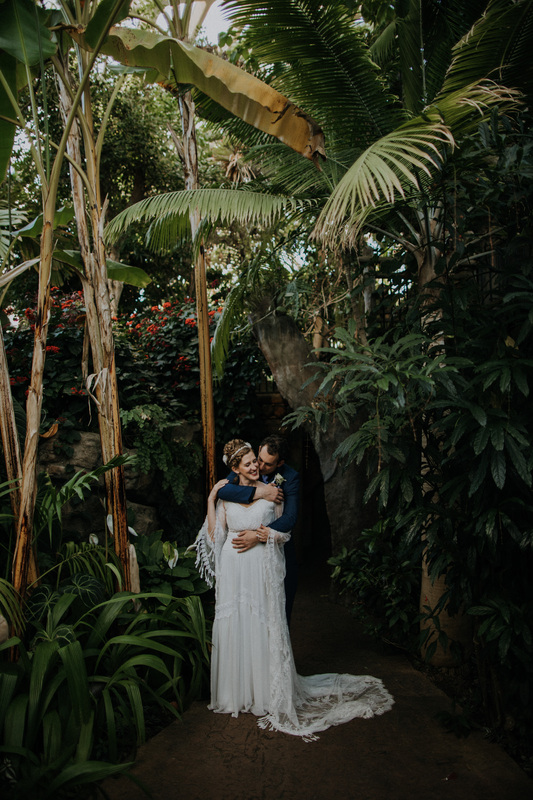 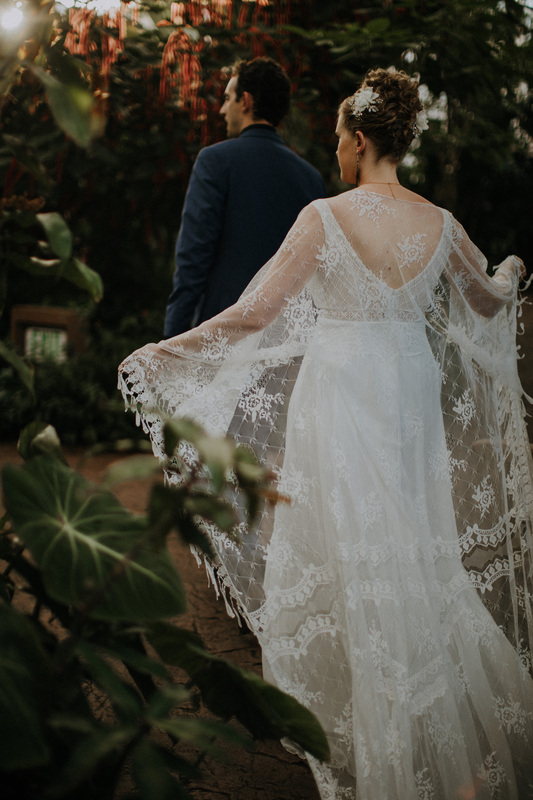 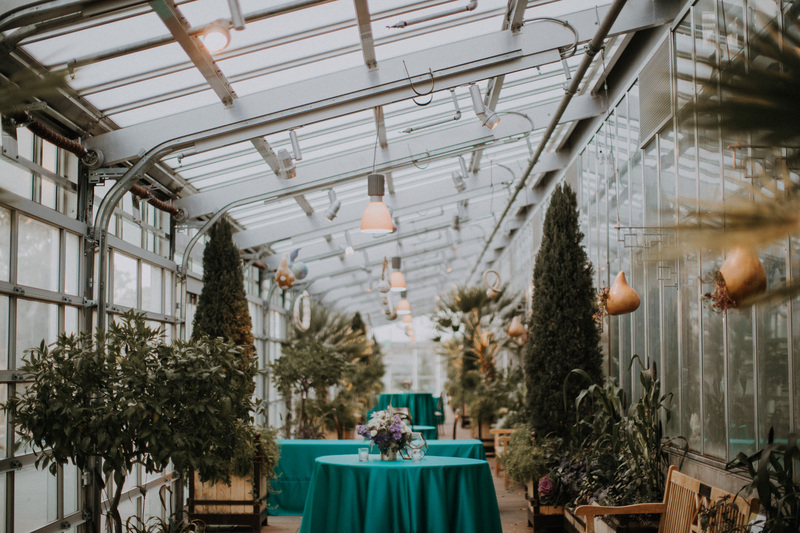 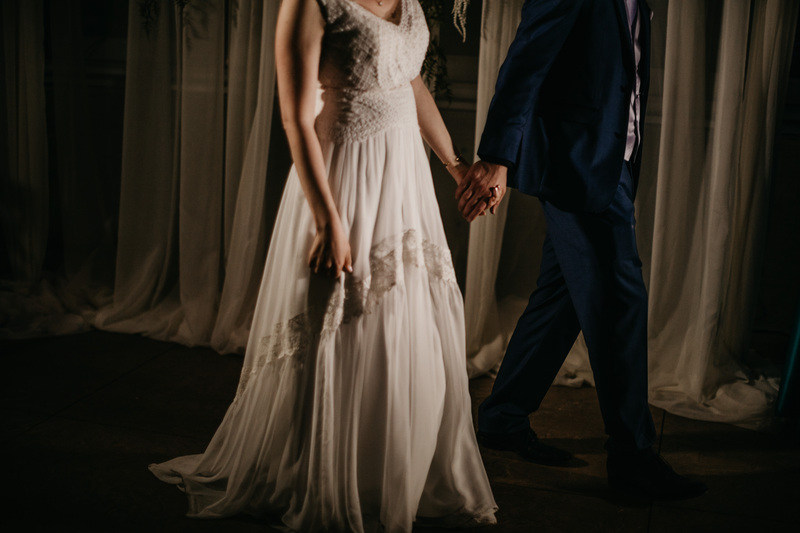 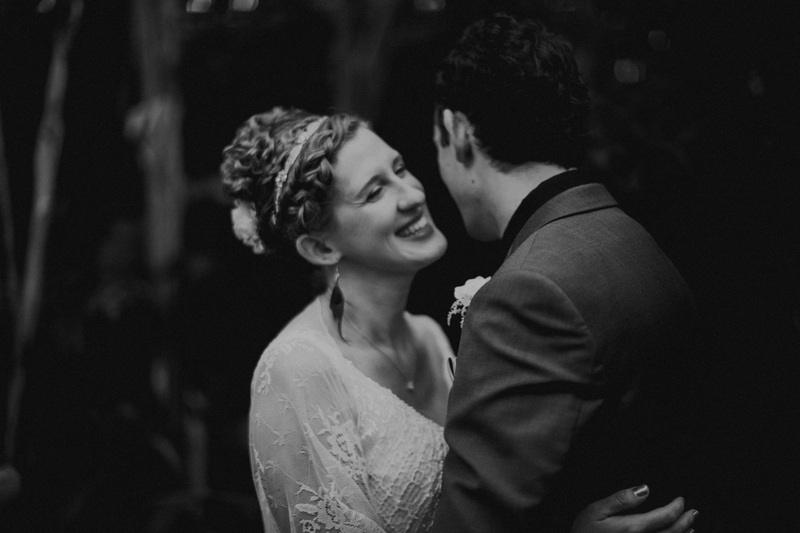 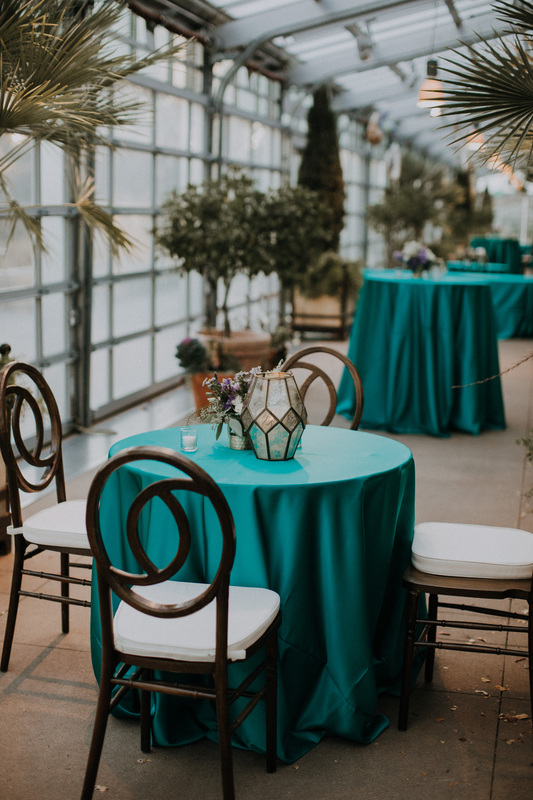 Susan and Anton were married in the lush and leafy space of the Denver Botanic Gardens. 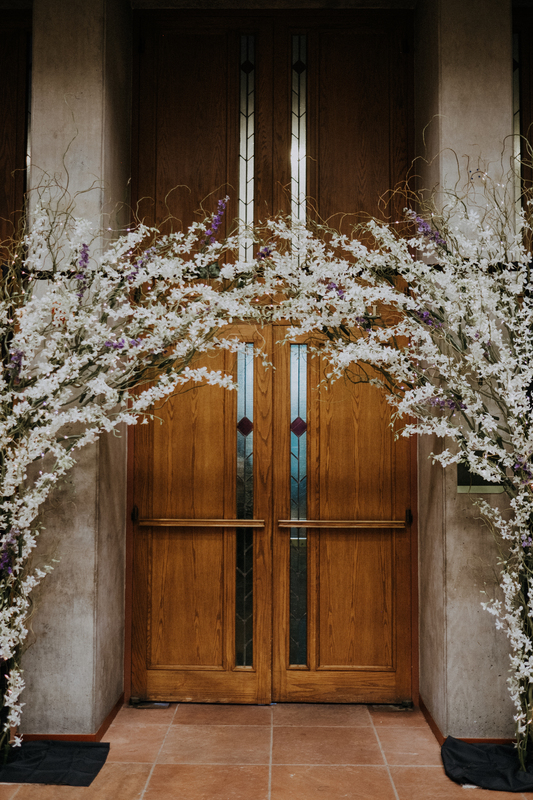 While disguising a bit of the signage and environment with flowing drape, a custom floral arch spanned over the main entry, welcoming guests to the experience. 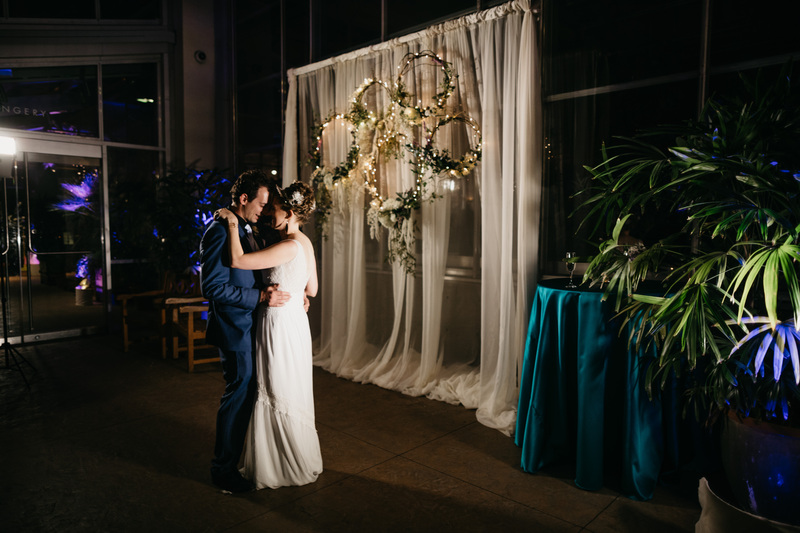 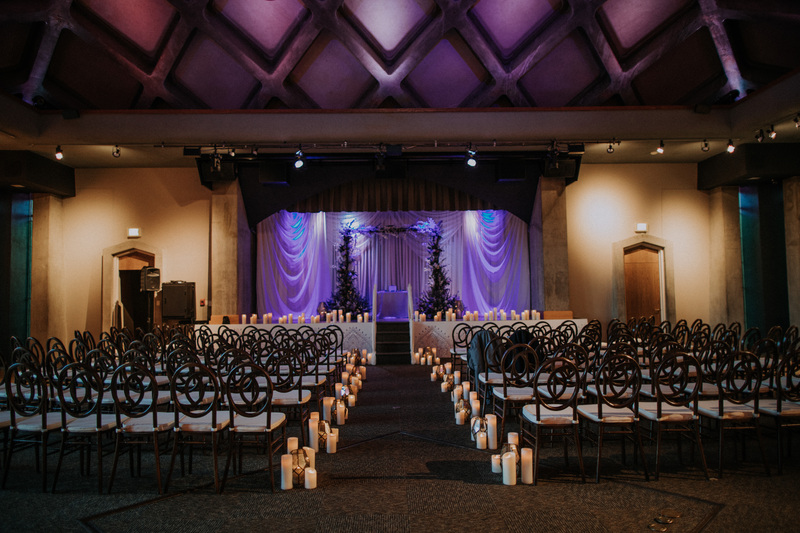 The ceremony was backed with a complementary arch, drape, and soft lighting. 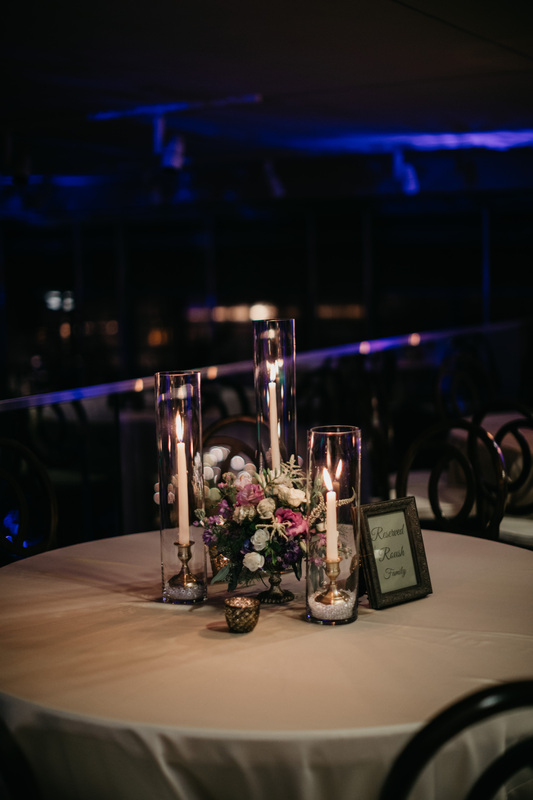 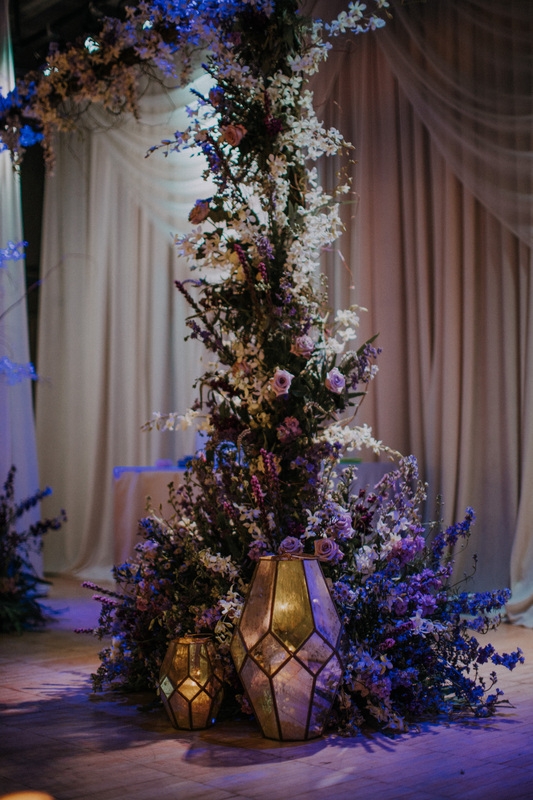 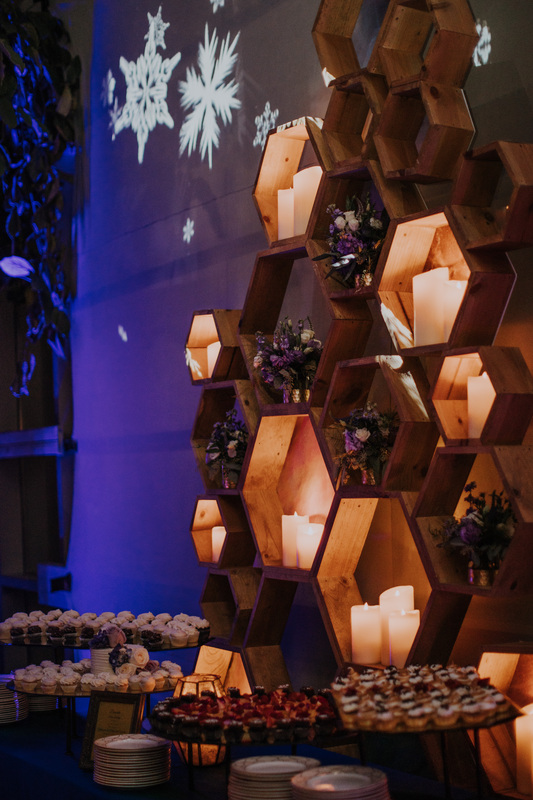 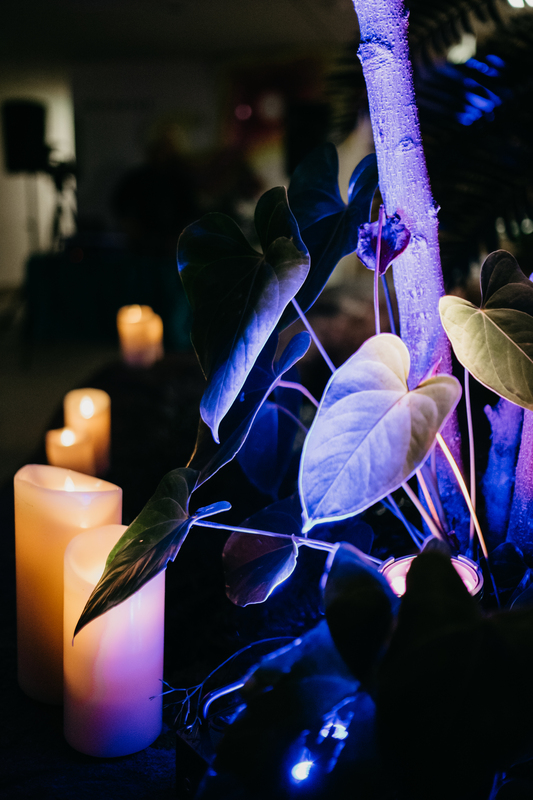 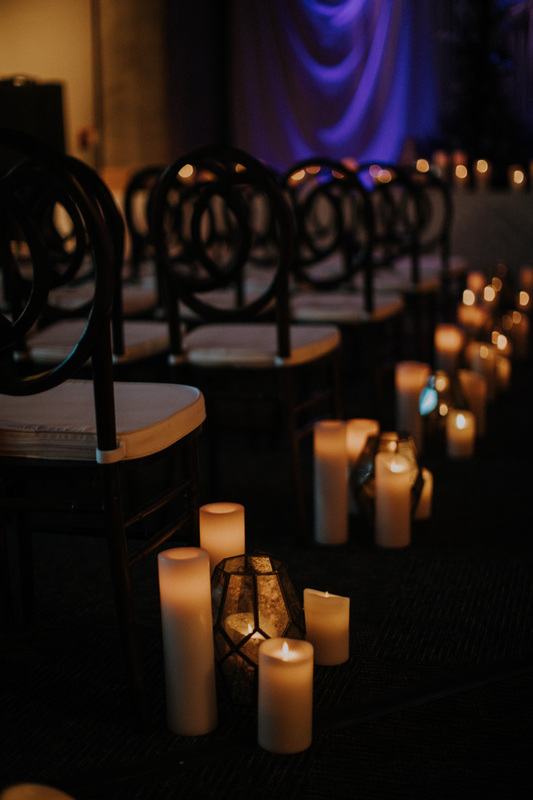 Adding an extra touch of romance, glowing candles and geometric vessels were added throughout the entire area. 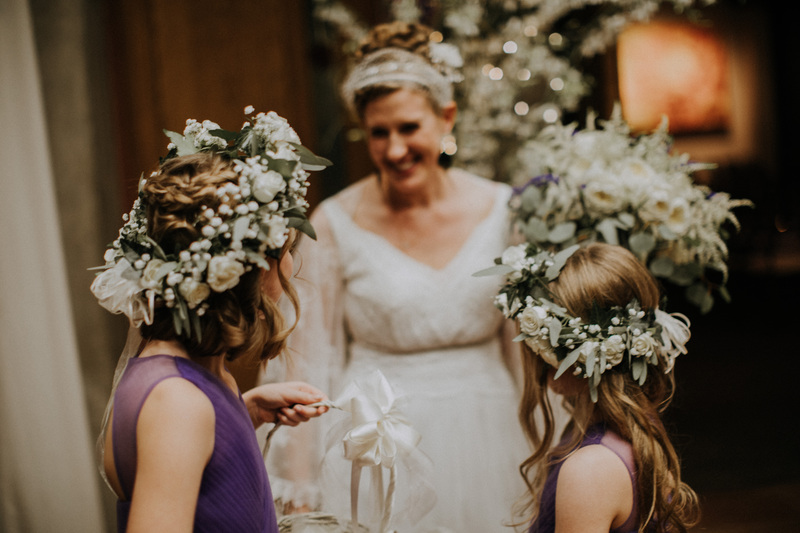 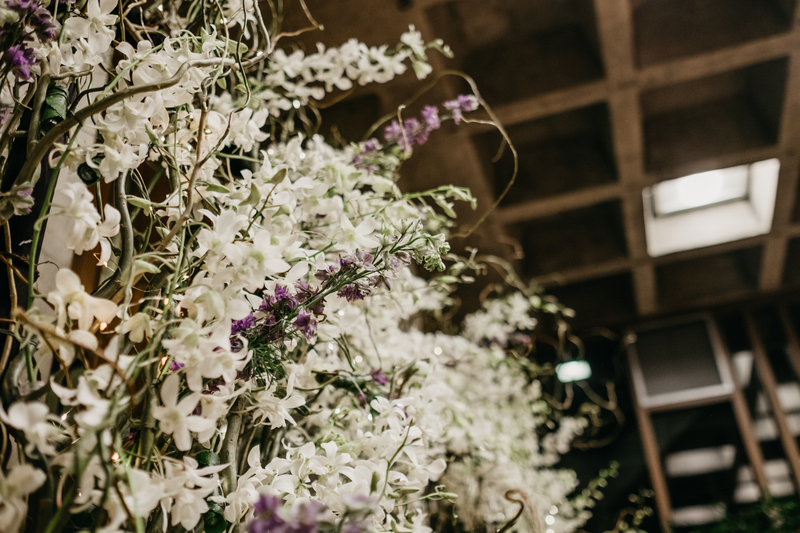 While fresh florals adorned the cocktail tables and bar displays, custom crowns and boutiques were created for all the attendants.